Clogged drains are typically easy to fix, as we can unclog it physically, chemically or a combination of both. However, it usually depends on the nature and extent of the problem so before calling on an experience plumber in parramatta, here are some tips that you may try to uncork that clog. The kitchen sink is most often clogged with fats, grease and oils, unplug or remove the strainer, as grease accumulate around the strainer in the sink. Remove and wash away anything that has collected around it. You may also use liquid sosa or liquid lye, just pour it straight then wait for 10 minutes before flushing it with tap water. Better yet pour in the chemical at night before going to sleep when nobody will use the kitchen sink anymore. Flush it with water the next morning. Use a rubber plunger for clogs lodged in pipes. Remove the strainer first then angle the cup in to release trapped air, place it over drain and pump vigorously several times to create a surge in the water. When the water rushes out, you have cleared the clog. 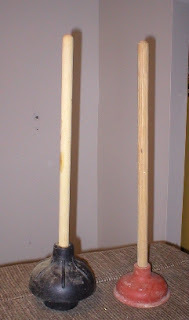 If the rubber plunger cannot do the job, try using the sewer snake known as the plumber’s auger to remove the blockage. 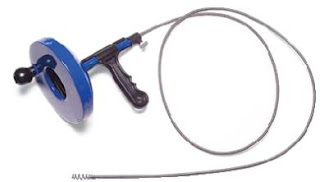 The sewer snake is a thin wire with a coiled spring on the end. Bathroom pipes are usually clogged with hair and soap debris. Insert and push the snake into the drain until you come up with a soggy resistance then twist the snake clockwise, continue twisting and pushing the clog back and forth until it breaks up and you can hook the clog debris out of the drain. In my experience I still pour in liquid sosa or a baking soda and vinegar mixture to complete my declogging job. Another option is the baking soda and vinegar combination. It is a natural and environment-friendly declogging remedy I learned from my mom. Simply dump ½ cup of baking soda followed by ½ cup vinegar down the drain. Let the mixture sit for 10 minutes then pour boiling water down the drain. The mixture will dissolve the grease. Be very careful when you opt to use commercial chemical drain cleaners, strictly follow directions written on the label. Protect your eyes and skin and see to it that the area you’re working on is well ventilated as these are harsh chemicals and fumes may irritate or cause troubles to your lungs.